Lest we think that all 80s fashions trends of note were for the ladies, let’s not forget the guys and their totally 80s fashion trends. 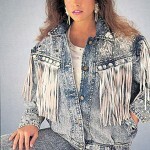 It wasn’t just us girls and our shoulder pads and leg warmers that screamed THE EIGHTIES. 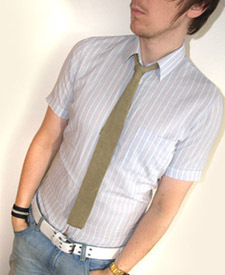 Men had their own 80s fashion moments and one not to be ignored is certainly the knit, square-bottomed tie. These ties were ubiquitous and available in every imaginable color. Don’t forget that if 80s fashion was about anything, it was about color. Here are a few samples to jog the memory (see above). Also, we are thrilled to have an authentic shot of one of these ties in action sent in by one of regular readers (thanks!). 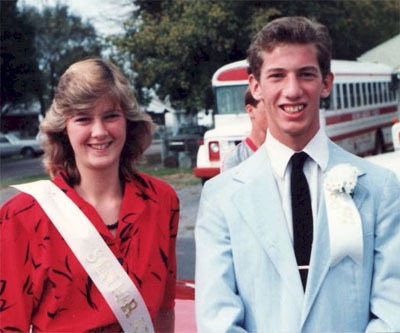 This is a shot taken in October of 1986 for a high school homecoming. We love the pastel suit in combination with the tie. And, like many 80s fashion trends talked about on this site, the knit tie has made a come back. These 80s fashion musts have worked themselves into the look of the uber-cool, the young urban hipster, the budding emo singer-songwriter fashion look of today. 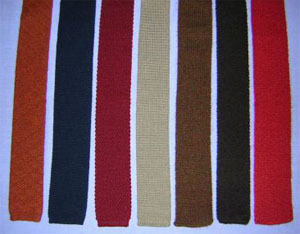 We have included (left) a picture of the knit tie’s modern day manifestation. But, this comeback isn’t limited to the hipster. 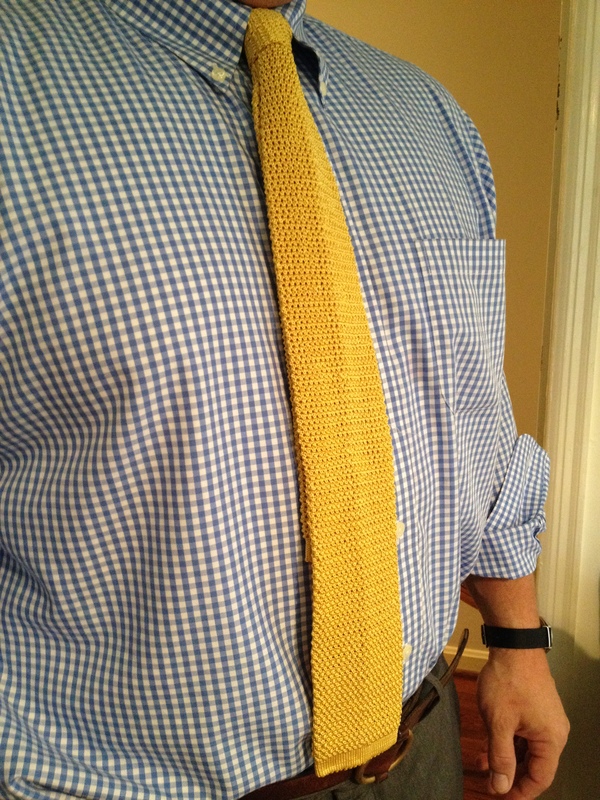 My husband, decidedly not a hipster, got a super fun yellow one this spring and rocked it (see below). 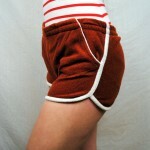 We at Like Totally 80s love to see this re-use and re-invention of 80s cool. If you find yourself in need of one of these awesome 80s fashion specimens, you need go no further than Ebay for a vintage sample. 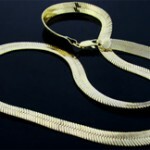 A search for “mens knit tie” or try this to search for knit ties. For a brand spanking new one, Club Monaco has them for $49.00 (marked down from $75.00). For a less expensive version, check out the $10.00 version on offer at Amazon, available in a rainbow of rad colors.